Air New Zealand will carry thousands of unaccompanied minors across its domestic and international network this summer. Between 1 December and the end of March 2019 the airline is set to carry nearly 9,000 children travelling by themselves, and more bookings are expected. All unaccompanied minors travelling with Air New Zealand receive the airline’s award-wining Airband™ at check-in as part of the service. 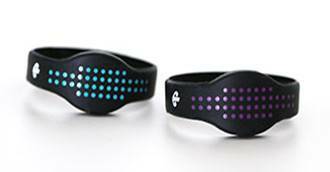 The wristband is embedded with a chip which is scanned at key stages of the journey to trigger text notifications giving parents and guardians the opportunity to follow the steps in their young ones’ trip. Air New Zealand General Manager Customer Experience Anita Hawthorne says this summer the airline will carry unaccompanied minors travelling from London, Los Angeles, San Francisco, Houston, Buenos Aires, the South Pacific, Australia and the majority of its domestic ports. “Air New Zealand is the only carrier in New Zealand offering a service for children travelling by themselves and we know parents and guardians like the peace of mind our Airband™ service provides with messages sent at different stages of the young travellers’ journey to up to five nominated contacts.